Do you have a home assistant yet? Google’s announcement that during 2017 its voice-activated assistant was present in some 400 million devices and that it had sold more than one Google Home per second since it launched on October 19, more than six million smart speakers, confirms the category’s position as the fastest-growing consumer electronics segment, even overshadowing the ubiquitous smartphone. Google’s data is impressive, but we should bear in mind that it’s not even the market leader: 75% of home assistants sold so far have been Amazon Echo. Alexa (you can now change the name), is seemingly everywhere, and although the company’s secrecy makes it difficult to know how many units have been sold this Christmas, the figure is certainly in the tens of millions. We now use it for everything: when Jeff Bezos claimed that the device was not just for buying stuff from Amazon, he was absolutely right: along with reminders, music, news, alarms, knowing the time, we ask Alexa to tell us a joke or to dim the lights. Some 56.3 million home assistants are expected to be sold this year. So far, Amazon and Google lead the market, with Apple being late to the party with the release of the HomePod in early 2018. In China, the main players are domestic brands like Alibaba, JD.com or Xiaomi. But this is a business that is still very much in its infancy: for the moment, the main players seem interested simply in getting them into our homes, most likely losing some money in the process, while waiting for clearer usage models to emerge. 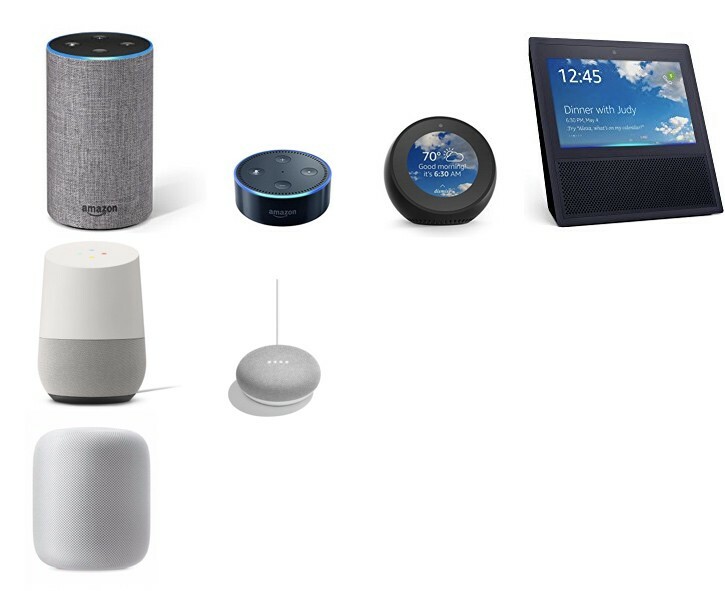 The development of conversational interfaces and increasingly intelligent chatbots will allow for more complex and genuinely bidirectional interactions with voices that we will no longer be able to differentiate from human ones, while we will also see the emergence of new business models: in October, Amazon introduced subscriptions for certain Alexa skills, announced the possibility of in-app purchases, and started to reward developers for creating successful applications, creating a platform with interesting monetization potential. So far, Amazon has denied to be developing an advertising model associated with this platform, although it has been holding conversations with advertisers such as P&G or Clorox, which could lead to the nightmare scenario of suggestions or advertisements when we request certain products. One way or another, 2018 looks set to be the year when home assistants become part of our lives: from playing our favorite music they have quickly developed other skills that Amazon, Google and Apple hope will make them indispensable. Concerns about leaving a device loaded with omnidirectional microphones in our homes that could record what we say have not proved a disincentive, although at some point we can surely expect a cause célèbre over improper use or who knows, perhaps another murder case. But the convenience of voice interface so far seems to be outweighing such qualms: soon, our homes will be full of objects: lights, plugs, loudspeakers, shutters, locks, etc., that we will activate either by voice or through our smartphones, creating needs we never knew we had, and that in a very short time will be a part of our daily lives. You may have resisted the charms of Alexa so far, but who knows, by the end of this year you too may find yourself talking to a home assistant.